The magic of Little Red Riding Hood never fails to excite children. Discover Little Red Riding Hood printables and resources to enhance your fairy tale theme. What an amazing collection of Little Red Riding Hood printables and unit study resources! Below, you’ll find crafts, printables, books, and more! You’ll find everything you need to keep bring the story to life with your students! I love teaching with children’s books. There are so many great books to choose, and so many lessons to pull from each one. Little Red Riding Hood is such a fun fairy tale to read. There’s such an abundance of topics to be covered, and no shortage of storybook versions, printables, and themed resources to incorporate into your book-based activities. Below, you’ll find all of the posts I’ve written to date that you can use with your students to dig deep into Little Red Riding Hood and have fun while you’re doing so! Be sure to check back frequently, though, because I’m always adding new posts to this list. • Little Red Riding Hood Literacy Activities – Your students will LOVE working on syllables, CVC words, and more with these Little Red Riding Hood literacy activities. Perfect for your literacy centers. • Little Red Riding Hood Printable Story Pack – Little ones will enjoy this Little Red Riding Hood printable story pack. Twenty pages of early math and literacy activities to keep your students engaged! 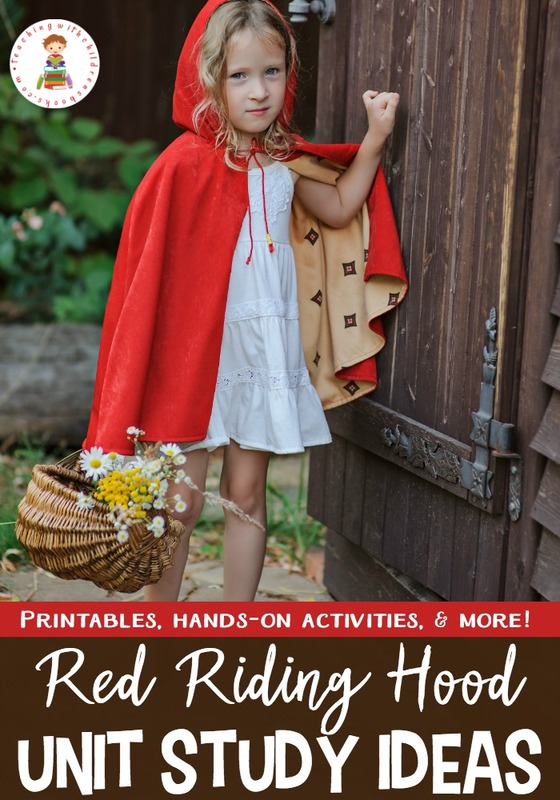 • Little Red Riding Hood Printables and Activities – Bring the story to life! This pack of Little Red Riding Hood printables includes literacy activities for early childhood classrooms. • Petite Rouge Riding Hood Printables: A Book Companion – Petite Rouge Riding Hood gives a clever Cajun twist to the classic story of Little Red Riding Hood. Have fun digging into the book with this book companion! • 21 Delightful Red Riding Hood Stories for Kids – These versions of Little Red Riding Hood from around the world are perfect for comparing and contrasting story elements and cultures. 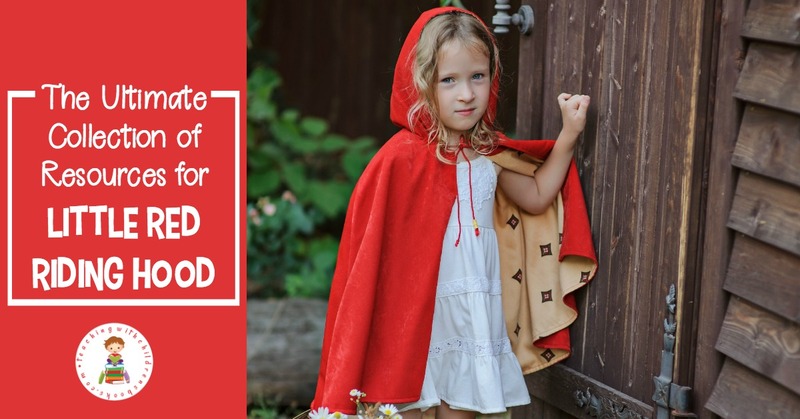 • 20 Engaging Little Red Riding Hood Ideas – I love finding ways to extend the lesson after reading a good book. Here are twenty engaging Little Red Riding Hood activities that are sure to excite your students! • Little Red Riding Hood Crafts – If your children love the story of Red Riding Hood, they are going to love bringing the story to life with these adorable Little Red Riding Hood crafts! Looking for more fun items to help you teach with Little Red Riding Hood? Check out my top picks! • Little Red Riding Hood Stickers – Does your little girl love the little red riding hood fairy tale? If they do, they are going to love this cute sticker that has a little girl in a red cap carrying a tiny basket. Personalize with child’s name at corner. • Whimsical Little Red Riding Hood Girl and Wolf Jigsaw Puzzle – This super fun original fantasy design has a whimsical style and is based upon the fairytale Little Red Riding Hood. A cute young girl stands in her long green dress with bright red hooded cape, hollding a wicker basket full of goodies for grandma. Behind her is a dark, night time forest scene and sitting beside her is a funny looking wolf, with saliva drooling from his fangs as he contemplates his next meal! • Little Red Riding Hood Deluxe Brainteaser – Preschoolers place Little Red Riding Hood, the house, and the trees on the game board according to one of the 48 challenges and then use the puzzle pieces to make a path to Grandma’s house.